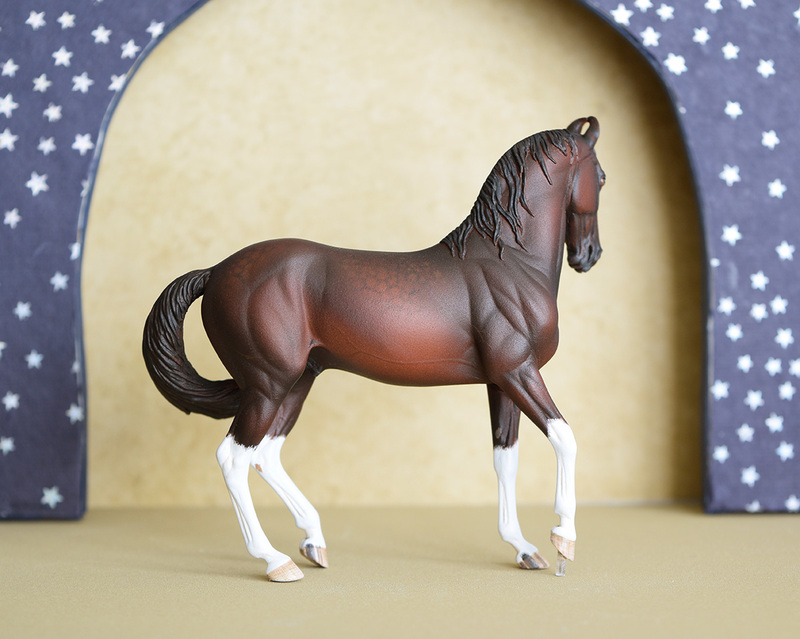 This is one of the mini Marwari resins I painted for BreyerFest this year. 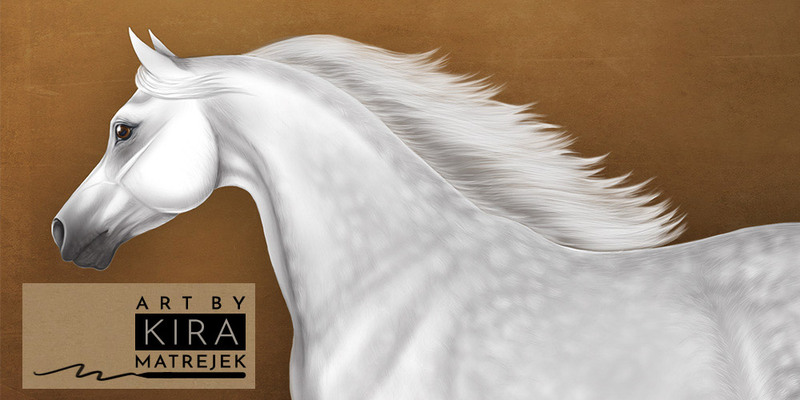 The 2017 BreyerFest guest horse was a Marwari, and I was excited to paint a model of this unique and unusual breed. I painted and finished him using gouache acrylics to a dark dappled bay, with a big white blaze and four high socks. I airbrushed the base coat and shading, then went in with a tiny paintbrush (and magnifier!) 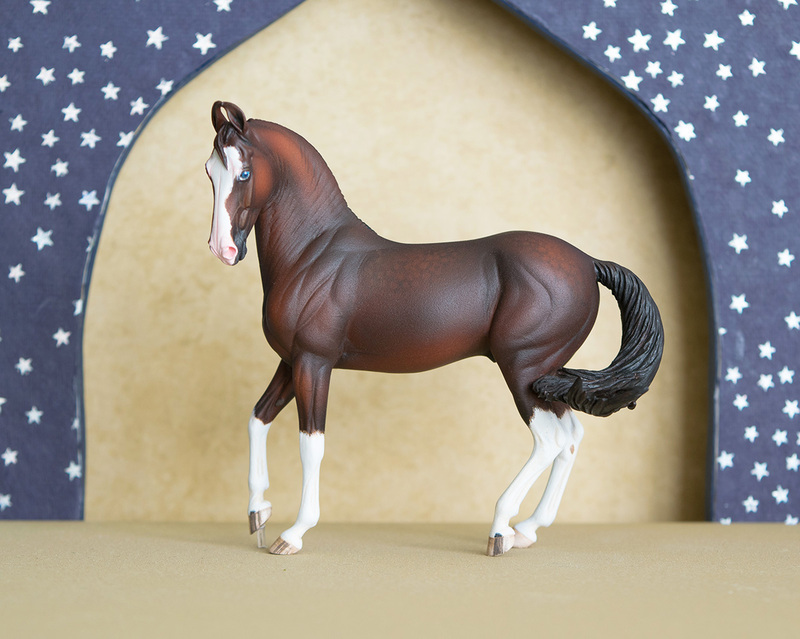 and handpainted all the details: hoof stripes, dappling, veining, shading, hair details around white markings, a pink nose, and one blue eye and one brown eye. He turned out super nice! I've decided to keep him for my own collection.